Hello PinkWhen readers! 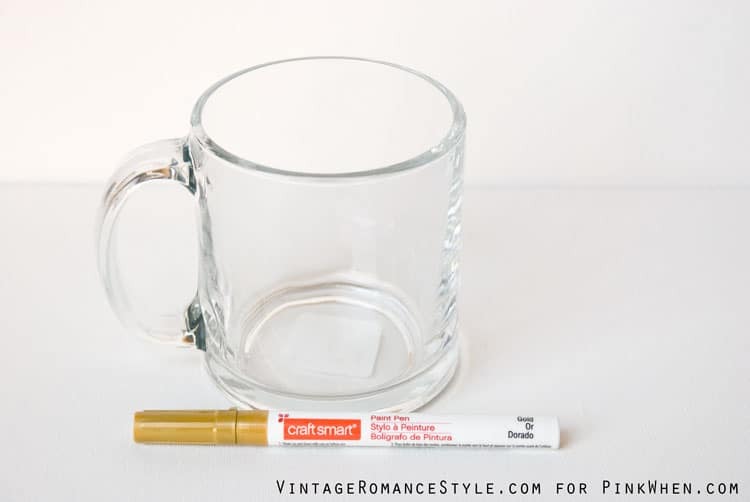 I’m Teryn and I blog at Vintage Romance Style. If you’re anything like me, then you love coffee. If you love coffee then you probably have a coffee cup obsession just like me too! There is something about using a new adorable coffee cup that starts my day off right. Hot coffee in a new cup makes me happy and a cute new cup that costs hardly anything makes me happy too! 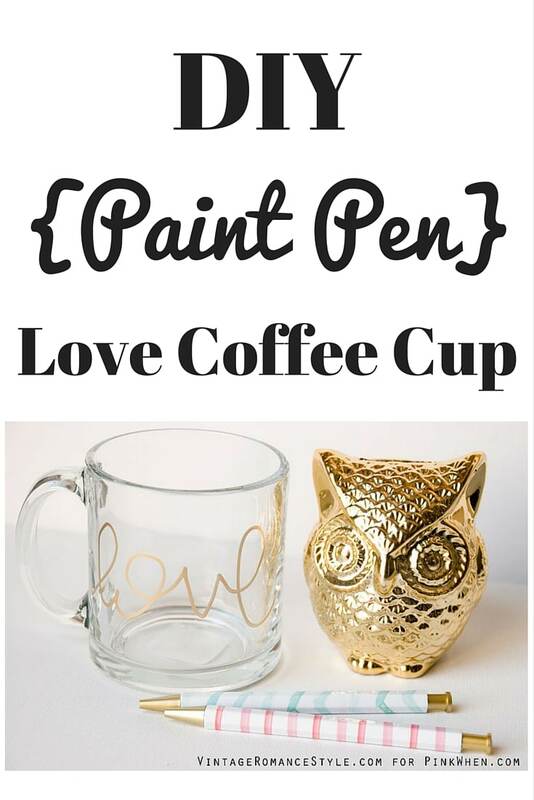 So today, I’m sharing an easy DIY LOVE coffee cup that you can keep for yourself or create for a friend! 1 plain coffee cup of your choice. I got my clear cup from the dollar store. 2. Make sure that your cup is clean. 3. 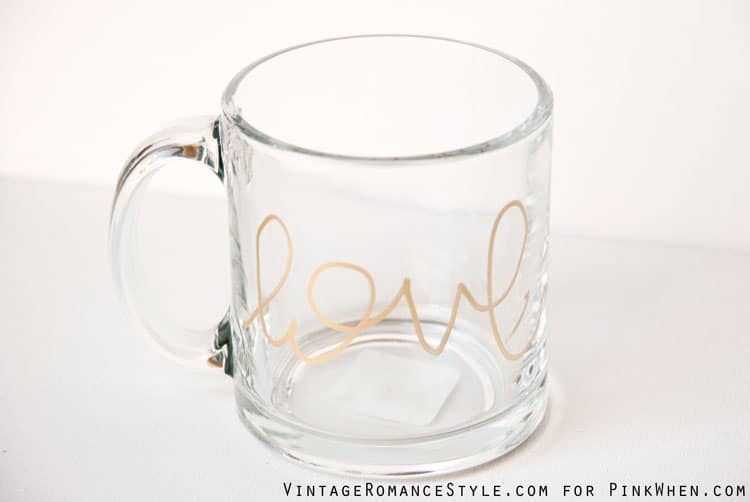 Write the word LOVE on your cup in cursive. You can also choose another word if you wish. 4. Place your mug on a baking sheet and bake for 25 minutes. 5. Take it out of the oven and let it cool completely. 6. Go over the word again with the paint pen and bake for 25 minutes. 7. Go over the word again (for the 3rd layer) with the paint pen and bake for 25 minutes. 8. Let completely cool and you’re done! Don’t forget to check out other projects like my Restoration Hardware Knockoff Crystal Orb Chandelier , DIY No Sew Table Cloth Bed Canopy Tutorial and How to Turn Your Closet into a Boutique. 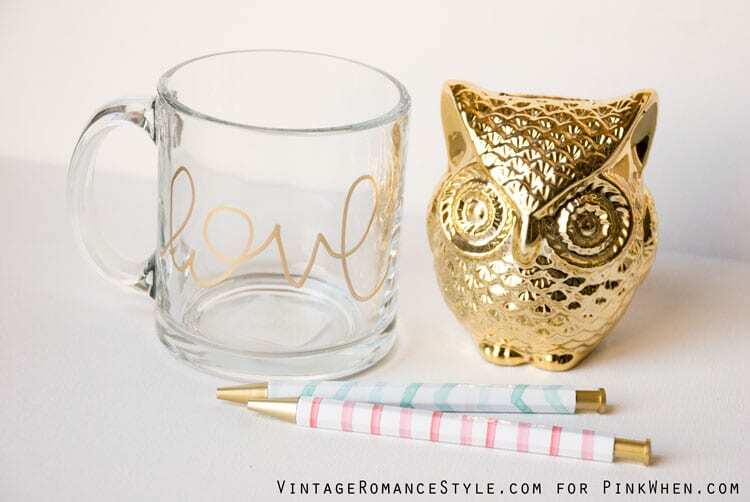 Loving that owl! Thanks for sharing the craft!